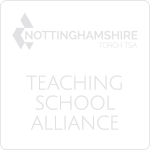 Each year Nottingham Free School will be allocated a set amount of pupil premium funding based on the numbers of students who fit into the above categories. This is not part of the general budget and we are directed to use this funding on resources/activities which raise the achievement of the identified students. Students who are not part of the identified pupil premium group are not excluded from any of the activities below, if their participation is deemed appropriate and necessary. However, the funding for their participation will not be from the pupil premium budget. All pupil premium monies are tracked on an individual intervention basis. All intervention strategies will be tracked, analysed for their impact, reported on and posted onto this website page. Intervention is planned for those students who are not making the required rates of progress and need some extra support and is determined by the area of need. All students undergo an initial dyslexia screening test and a reading level test which help to identify areas of need. Some students with dyslexia or literacy issues are withdrawn for short periods of time to receive extra literacy and reading support. The power of 2 programme is used to support students who need some further numeracy support beyond that which they receive in the classroom. All students in years 7 and 8 have one reading lesson per week based on the Accelerated Reader programme. Low level readers also participate in a Read, Write, Inc programme in two English lesson per week. All students who receive pupil premium money are asked to contribute a significantly reduced payment for a scientific calculator worth approximately £6. 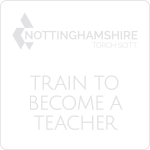 This lasts them throughout their time at Nottingham Free School and is required for Maths and Science exams. Trips, visits, private music tuition and other equipment requests are offered at a reduced cost to enable access to all of the wider experiences at school. 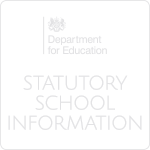 All departments offer students (who receive pupil premium money) free revision resources. This may be a revision guide or CD and will apply to all year groups. 'Study buddies' provide some mentoring during our study periods for those who need some extra support in the organisation and completion of homework tasks. All students participate in our extra-curricular activities twice a week in order to develop their wider skills such as teamwork and leadership. Through these activities, students experience a broader curriculum and are also able to develop wider hobbies and interests. Funding is allocated for a financial year rather than a school year. Our funding is £60,775. The literacy and numeracy catch-up premium gives schools additional funding to support year 7 pupils who did not achieve standard (100) in either reading or Maths. An additional £500 per relevant pupil is received by the school. Our funding in 2016-17 was £5624. Please download our catch-up impact report and our strategy document for 2018-19. Please see our Pupil Premium Strategy for 2017/18 which includes the strategy for 2018/19.